Ponticelli heads out on loan. 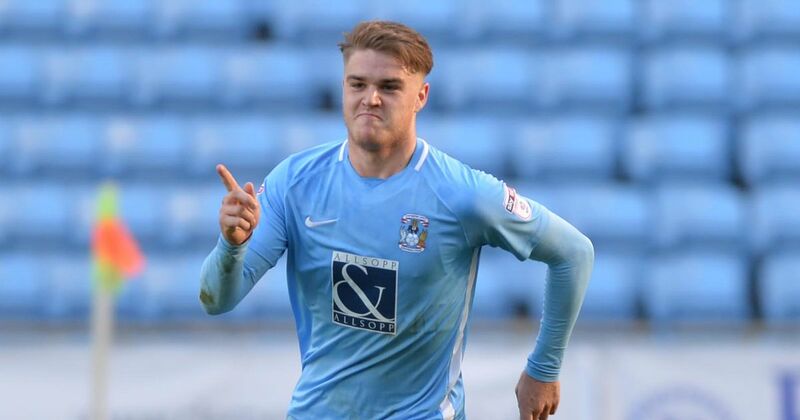 Coventry City striker Jordan Ponticelli has today joined League Two side Macclesfield Town on a season-long loan. Following the capture of Conor Chaplin from Portsmouth yesterday, Sky Blues’ boss Mark Robins has allowed Ponticelli, 19, to spend the season gaining experience with Mark Yates’ men where he will link up with midfielder Callum Maycock who is also on loan at The Silkmen and former Sky Blues’ players James Pearson & Peter Vincenti. Since making his professional debut in October 2017, Ponticelli has scored six goals in 28 appearances. The Sky Blues have a recall option in January. « Coventry complete Chaplin capture.